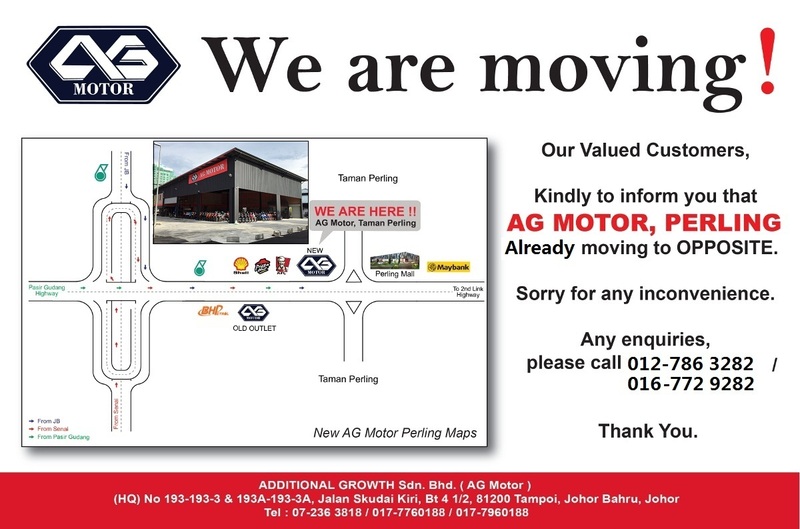 Kindly to inform you that AG Motor Perling will be moving to opposite start from 27th July 2015. Any enquiries, please contact us. thank you. New Address : Lot PTD 171460, Jalan Persisiran Perling, Taman Perling, 81200, Johor Bahru.